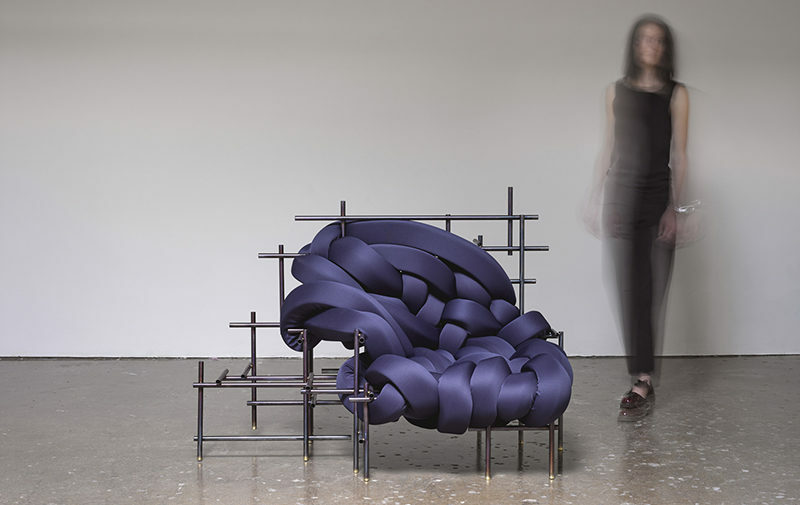 American designer Evan Fay, has created a sculptural furniture piece named the Lawless Chair. 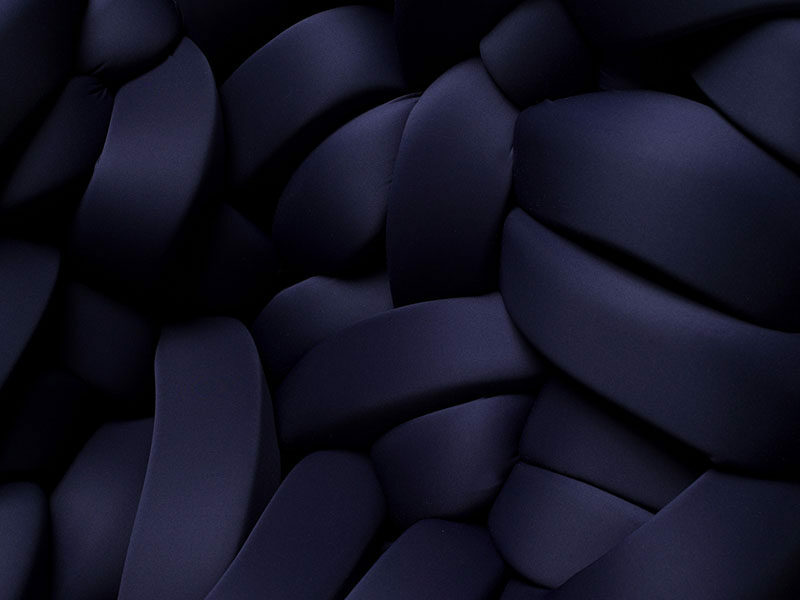 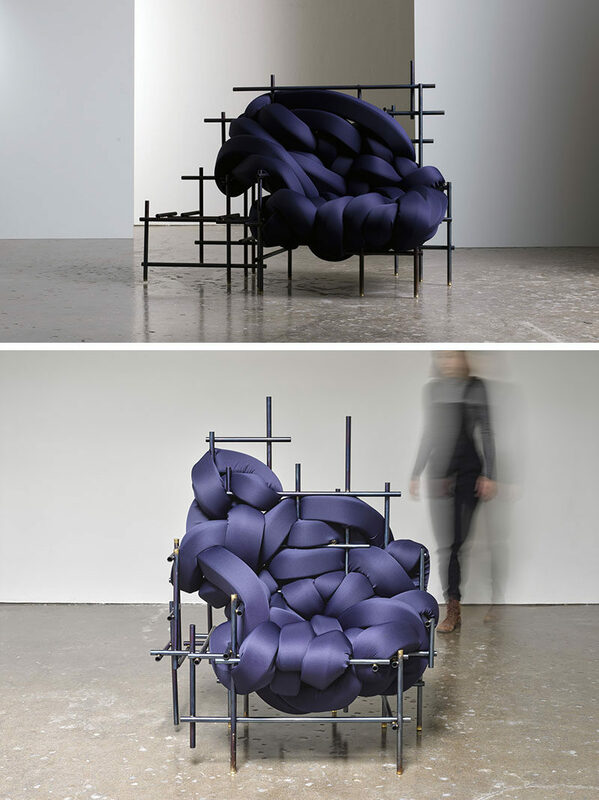 The chair is made upholstered blue lengths of cushion that weave through welded steel rods that form the structure of the chair. 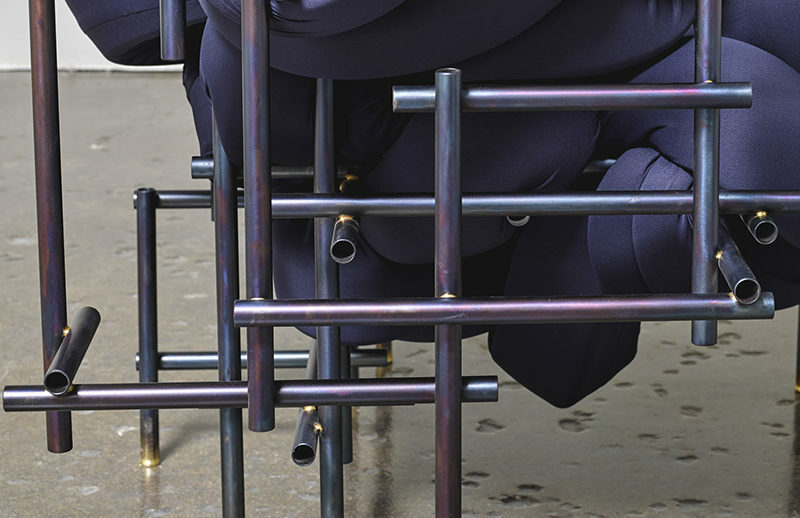 Here’s a closer look at the upholstery that’s woven throughout the frame.